Perfect for all your fun-in-the-sun activities! 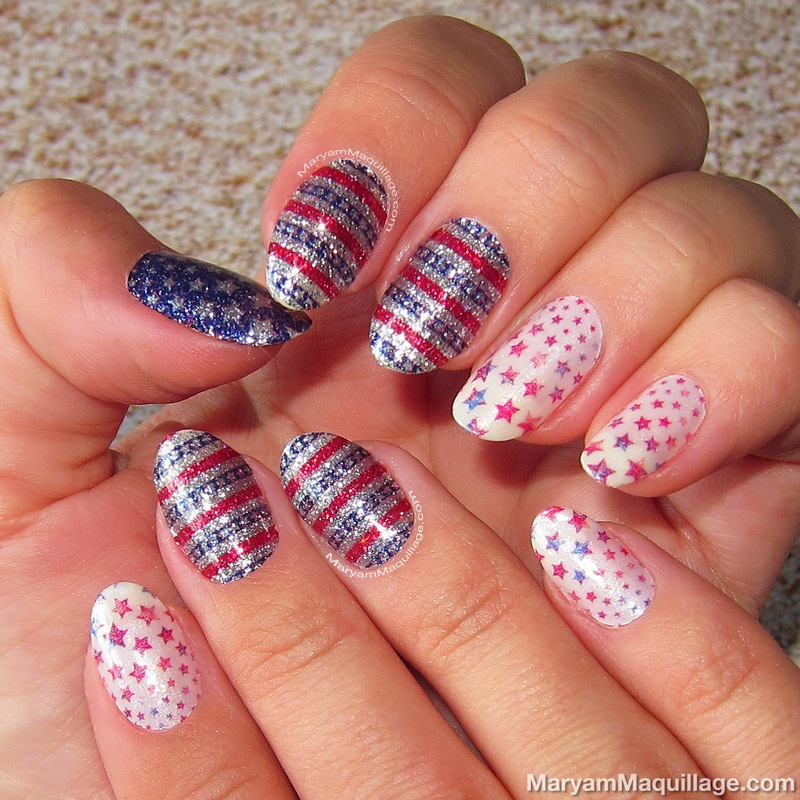 Love this mani! What awesome nail stickers! Cute! They're perfect for summer! The mani looks so good. Love the glitter/shine.